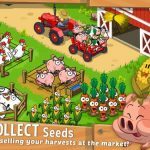 Here’s the second part of our Farmville 2: Country Escape tips and tricks, and as you saw in the first part, we basically focused on simpler tips, preferably those for beginners. We’re going to get a bit more advanced here, though at the end of the day, the goal of these tips is to benefit everyone, may they be new Farmville 2: Country Escape players or more experienced, veteran ones. You may encounter a few missions where your goal is to place only one livestock animal or one patch of a certain crop. Don’t just stop at one – if you have the resources, why not place as many as you could? This would allow you to produce goods more efficiently and effectively, and if you still have surplus goods at your disposal, the Farm Orders Board is always there to help you sell that surplus off. The Orders Board is one thing, but the Farm Stand is a completely different way for you to make money off the goods you produce. There would be times wherein the Farm Stand would be more lucrative than the Orders Board would, and as long as you don’t set pricing way too high, there should always be someone willing to buy what you’ve got. You can also save some money through the Farm Stand, as it can also be a hotbed for some hot discounts on items. The barn is where you’ll be storing your goods, so if you want to store a lot of products in there, you’ll want to make sure it’s upgraded whenever possible. 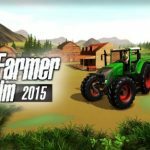 In Farmville 2: Country Escape, there’s no such thing as your barn being too large, so if you can upgrade your barn, don’t waste another second. 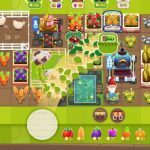 As of this writing, the Grandma’s Glade cheat has yet to be nerfed by Zynga, but while the company hasn’t, we’d advise you to give this a shot when playing Farmville 2: Country Escape. How does this work? It’s as simple as foraging the area in intervals of 15 minutes. By doing this you could get yourself some rare and unusual items, so seize the day while you still can, as game developers are often quick to “nerf” or remove/neutralize popular cheats. 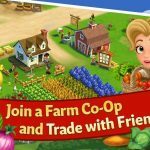 A lot of players find this step to be unnecessary – it’s the first thing you’ll be asked to do when you start a game of Farmville 2: Country Escape, and we’re here to tell you there’s nothing wrong with connecting your game to Facebook. After all, you don’t have to bother your friends for anything – simply connecting your game would earn you 25 free Keys. And should you invite friends to play, give them Speed Seed for their crops to grow much faster, and feel free to ask for Speed Seed in return.